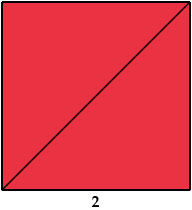 A polyabolo or polytan is a plane figure formed by joining equal isosceles right triangles along equal edges. 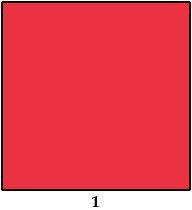 A few polyaboloes can form a square by joining variously sized copies of themselves. Here I show some examples. 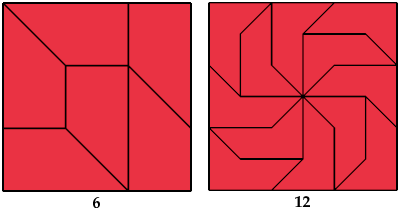 The tilings shown use as few tiles as I know how, and are not necessarily unique under this condition. 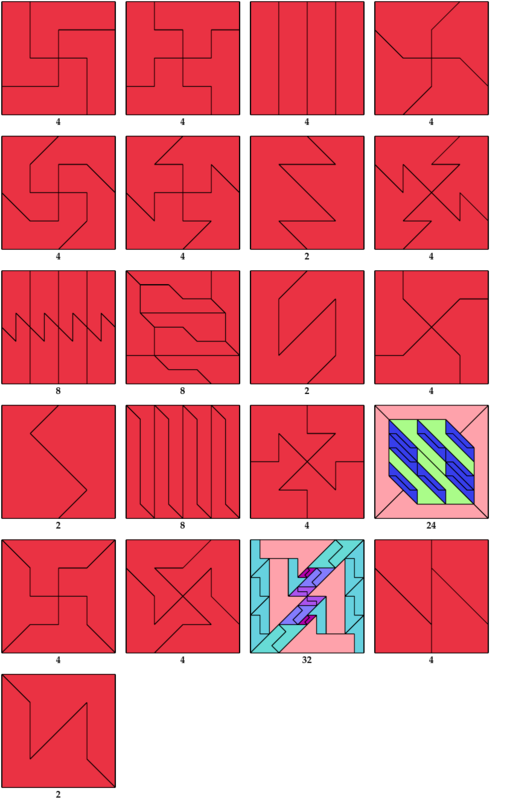 If you find a tiling with fewer tiles, please write. 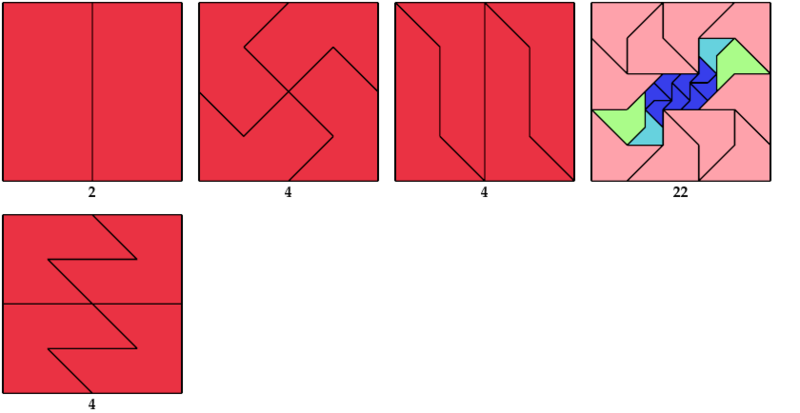 See also Similar Polyaboloes Tiling a Triangle, Similar Polyaboloes Tiling a Home Plate Hexabolo, and Similar Polyaboloes Tiling an Octagon. 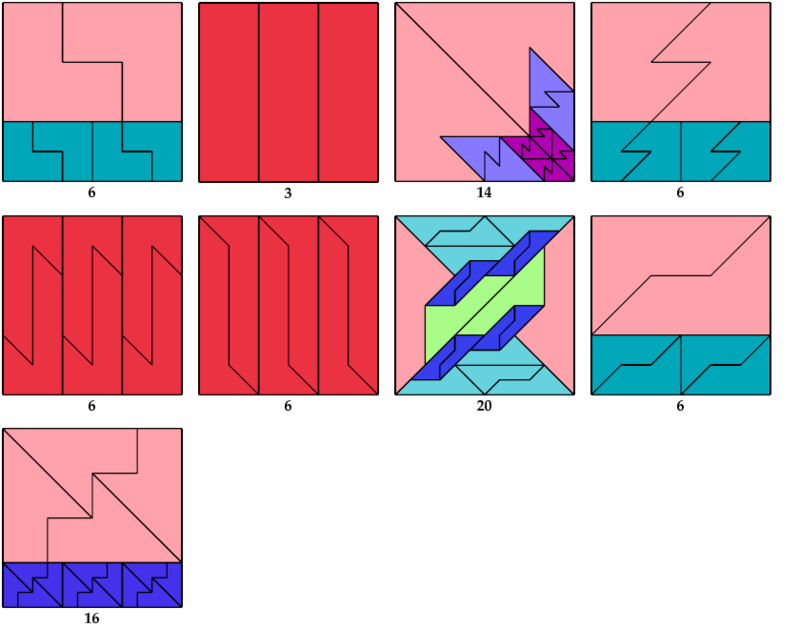 The standard reference for tilings by polyforms at various scales is Dr. Karl Scherer's A Puzzling Journey to the Reptiles and Related Animals (1987).